Let's start with Eleanor and Park by Rainbow Rowell which I cannot BELIEVE I'm mini reviewing. Because it really does deserve a novel sized review. But if I don't tell you something about it I'll never tell you anything about it. Heather did an awesome job of summarizing this one if you want to read her summary. A VERY brief summary of this one is that it's an amazingly beautiful, honest, heartwarming and heartbreaking story of love in the 80's between two teens who both bear the weight of the world on their shoulders for their own reason but attempt to find safety and love in each other. And they do, genuinely which is why I loved this book so damn much. I loved it because Eleanor listening to The Smiths for the first time ever when Park gave her his headphones made me cry. I loved it because Eleanor was not skinny and blonde (not that there's anything wrong with that...my sister is skinny and blonde, but I mean she wasn't perfect and full of sunshine...word choice Chris..word choice) and because Park was not white and the star athlete (not that there's anything wrong with that either). I loved it because it showed perseverance in the face of horrors and it also showed that sometimes you really just cannot persevere anymore. I loved it because it showed a true first love and acknowledged that that love can be and is real for so many people...and just how special that love can be. You need to read this book. I need to read Attachments, her previously published book and I cannot WAIT for Fangirl which comes out in September! And lastly, I FINALLY read Bird by Rita Murphy which I should've read long long ago since I've had it for awhile now and since it's such a short book. This book was absolutely nothing like what I thought it would be! I don't even know what I thought it would be exactly, but not this! It's a completely gothic tale that would be perfect for Carl's RIP challenge that tells the story of a young girl who's extremely tiny who one day comes upon the door of a giant and mysterious house and becomes the caretaker for the woman who owns the house, mending nets for the fisherman who live nearby. The house is full of mysteries and Miranda, the small girl, must wear special boots to keep herself from being carried away from it by the wind. That is until she learns that she may want to be carried away by the wind with the help of some mysterious things she finds at the house and a friend that she makes who one day visits after she loses a red kite. I enjoyed this one so much more than I thought I would! I think it was actually because it was so different than what I thought it would be. 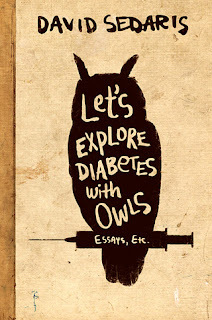 Those all sound good, although I have to admit that I couldn't get into David Sedaris's first book. It's been so long that I don't recall why. As to the comment that you appreciated the heroine *not* being skinny and blonde and the hero *not* being the perfect fair-skinned athlete . . . oh, man, you are so singing my tune. 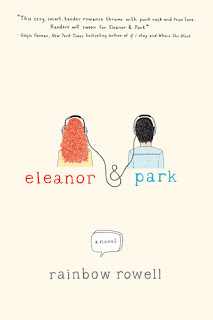 I have to read Eleanor & Park, for sure, now. I'm so sick of beautiful heroines (especially blonde ones) and handsome heroes. In fact, I liked Reboot partly because the hero was kind of a clumsy guy. I appreciated the change of pace. He was a great guy with a terrific sense of humor - so much better than just having good looks. Sorry I missed your birthday! Happy Belated Birthday, my dear friend!!! I'm so glad you had a great day! And, wow, getting to meet a star . . . so cool!!!! congrats to Eleanor & Park. I don't know if I ever told you but one of the reasons I wrote my Kesterwood is because I never read or saw many movies that are all "older" people. (the few movies I've seen I've loved:re: Whales of August.) so I applaud the author for going outside of the box! Super awesome mini reviews! I can't wait to read ALL of these! Ohhh, I wanna read Eleanor and Park & Bird now!!! 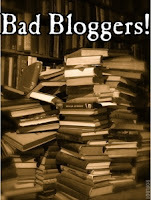 Also, I know what you mean re: mini reviews. But here's a realisation I came to: writing them is so frustrating since there's so much more you want to talk about. But reading them is excellent, because it's just a distilled emotional reaction. 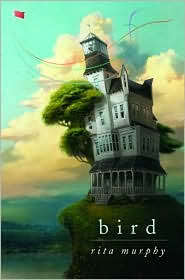 That Bird cover is absolutely gorgeous and the story sounds really awesome as well!